Using virtual reality is an option for an attractive experience in escape rooms. The basic principles are the same as in the"physical" puzzle rooms, which is the other name of escape rooms. Logical thinking, collaboration and communication in the teamwork, rapid reaction, watchfulness, tact are the qualities that are the most important for the game and players rely on them. Players do not need to have specialized education, specific knowledge, skills or physical strength. In "physical" rooms, the goal is to arrange a puzzle of correctly solved mysteries in order to find a way out of the rooms, and the team of two to six people has an hour to do this. Different objects that are located in different parts of the room are used to find the correct solution, as part of them give a hint to hidden clues that help the process of solving; solution of logical, mathematical and even linguistic problems. Since the players are performing physical activity, their ability to orientate in time and space is essential. The team overcomes locking mechanisms, interprets signs on walls, passes under lazers, finds secret doors and so on. Generally speaking, the "physical" escape rooms are an alternative and exciting escape, at least for a while, from the modern online lifestyle. And vice versa – in every VR escape room, the experience is based on the habits of the online community. In these rooms, there are no other objects except the chairs where the players sit and with the help of microphones, helmets, glasses or even lenses, they are comfortably transferred to an exciting virtual world of a completely different reality. Just like in the "physical" rooms, the topics are endless and the team can go back in the past, or on adventure in the present or future; the storylines can be criminal, adventure, detective, historical, and so on. The game in the VR escape room, however, is not aimed at finding a way out of the room, but it requires the execution of a certain mission. The goals may include saving a team from a space station, exploring an ancient abandoned city, where adventures will bring the team to a secret treasure, or spoiling the plans of crazy scientists, which will help to save the world, etc. 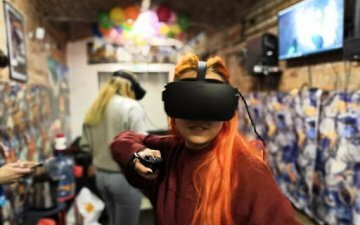 The optimal number of players in escape rooms with virtual reality is four, but the options are different – for two or for six people, there are even options for one person, although this is beyond the main idea of teamwork. With regard to degree of difficulty, the games offered are both for experienced and for beginners, there are even suitable for families. There are also specially designed oriented to development of team skills; themes for players with common interests – for example, sports fans. Some of the games are interactive, based on real historical events, which are not only challenging but also educational. There are also fantasy and futuristic games that activate the imagination of the players. When the team puts on the glasses, it falls into a new dimension, which is completely different, a world that is designed by computer. But it looks completely real. The technologies allow the player to travel in the body of his hero, without moving from his chair – the command point, and via the microphone he communicates with the rest of the team. The hardware monitors the movements of the head, hands, legs, so the simulation reacts according to the movements, and the player manually controls the reactions of his hero. 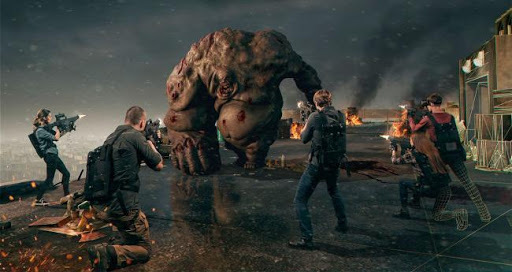 Moreover, the hero/the player who "has entered"in his body/ follows the movements of the other players and interacts with the rest of the team – they even can exchange virtual objects. With regard to actions here everything is "allowed", the team acts in sync in order to accomplish the mission and eliminate the danger – moving in any direction and position in space, with lasers, "physical" movement of objects, telekinesis, etc., according to the theme and scenario. The strength of the teamwork is obvious in the escape rooms with VR. On the one hand, everyone is personally engaged in the collective mission and is "on display" to others. If you are mistaken, the team will help you and you can continue, but there is no option for you to be passive, as can be the case with teams in the "physical" escape rooms. Decades have passed until we reach today’s possibilities in the use of virtual reality, and there were even periods during which the idea has been abandoned. Even the name came long after the first completed works in the field of high technologies. Virtual reality developments date back to the early 1950s. The first real result was achieved in 1961 when a Headsight hat was created for the use of virtual reality. However, the hat was designed for military and intelligence purposes, so what has been created hasn’t become popular and is not widely known how the activity has been developed. The virtual reality is inextricably linked to the work of Morton Heilig. Since 1962 his patent is "Sensorama" – the first virtual simulator in the world, and it was a big device similar to the slot machine. Although it was a "first step", the simulator introduced the viewer into the virtual reality, for example, driving a motorbike on famous city streets. At that time, however, investors haven’t been found, so the scientist stopped his work. A few years later, another similar device was created, but it was based on a headset with glasses and a portable image from a computer. This virtual reality development was created by Ivan Sutherland, a Harvard professor who workd with the student Bob Sparul. The name "virtual reality" was given in the 1980s by a rather innovative person – the inventor Jaron Lanier, who was admitted as a student at the age of 13. His company developed a device that was a more modern version for virtual reality – with special glasses and a glove. In the 1990s, virtual reality enters television thanks to the Australian Julie Martin, launching gaming platforms using virtual reality. The basics of today’s devices that work with vision, conversations, smell, taste, even touch and so on, are from 2010. They were developed by the teenager Palmer Luckey – he created the prototype of the modern headset that generates realistic images. Then his development has grown into a product that was bought for 2 billion dollars by Facebook. Virtual reality games are among the leading and most promising in the entertainment business. Global giants invest billions of dollars in these games such as Google, Samsung, Sony, HTC and Facebook. Mark Elliot Zukerberg – the creator of Facebook, believes that virtual reality is one of the main directions for the development of the technology world. 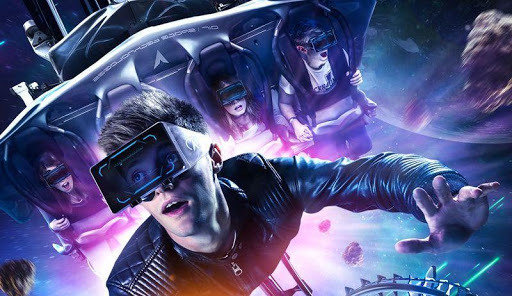 This provides broad perspectives for the development of escape rooms using VR, given that the scenarios are endless, the technology gives new opportunities and it is getting better and better. However, the "physical" escape rooms are unlikely to be replaced, because the escape from situations and discovery have their place in human nature. It is not a coincidence, for example, that “bad guys” are liked in cinema, as they find their way to deal with the situation at the end of the movie. They are liked by the audience as much as the characters of the adventure expeditions. In addition, the increasing use of virtual reality in our everyday life naturally creates a desire to escape from it, although temporary, just to relax. Thus, escape rooms will continue to offer both "physical" and virtual adventures. It should also be noted that technologies are widely used, for example, in museum practice where visitors can view the authentic look of a room, art objects, archeological findings or excavations and so on, with the help of the devices or even with their own phones. This resembles a game but it is educational. Virtual reality is also used in art, shopping, medicine, design, etc.